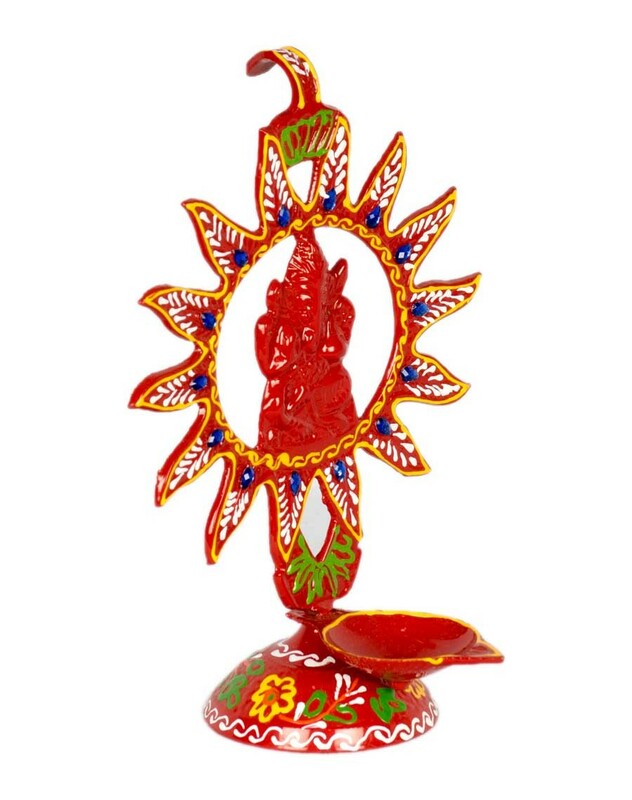 Raman Diya is made in the shape of sun Decorated with oil paints, this diya is made of pure brass and has a firm stand for support. The pattern has a Ganesha at the center. This unique diya can be used in wedding ceremony.